Tech-Knowledge Hub | CHAI: Comprehensive Housing Assistance, Inc. Through the Myerberg TECH-Knowledge Hub, we are proud to provide educational courses for older adults that promote lifelong learning. 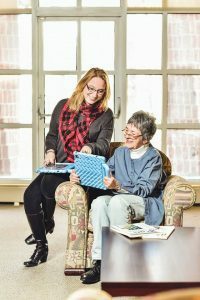 Through a variety of courses, seniors can learn and access computer technologies to enhance their lives and share their knowledge. Google: It’s A Lot More Than You Think! Follow the links below to learn more about the programs offered at Edward A. Myerberg Center and register to attend.